We are very sorry that we don't have a system for credit card payment. 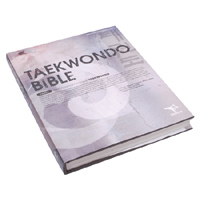 You can buy Taekwondo bible along the following steps. 1. Send us email (address: sanga119[at]chol.com) that you want to buy "Taekwondo Bible, Vol.1". 2. Send money for price and postal fee to our bank account. 3. As soon as we check the bank account we send you the books. 0. confer : 1. We'll give you several books free of charge. As soon as you remit us the total sum, we'll immediately send you the books.